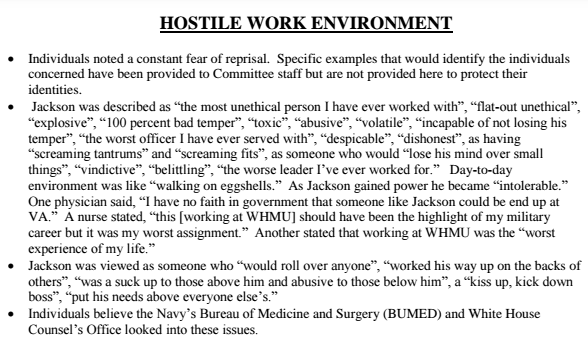 Rear Admiral Ronny Jackson, MD withdraws his nomination for VA Secretary after Senate Democrats publish allegations against him that include giving out prescription drugs to staffers, drinking to excess while on the job, and managerial misconduct. The VA issues a somewhat bizarre press release confirming that, despite a lack of top-level leadership, it will move forward with near-term priorities including the Cerner contract now that “employees who were wedded to the status quo and not on board with this administration’s policies or pace of change have now departed VA.” A House appropriations bill released yesterday sets aside $1.2 billion for the software. From JK: “Re: Stericycle. This article suggests that the company has turned to JPMorgan for financial advice on the potential sale of its communications services. Stericycle previously acquired NotifyMD and PatientPrompt.” The company hasn’t been on my radar since we exhibited next to them at HIMSS16. Perhaps it’s looking for cash to fund the fines it keeps having to pay to the Washington Department of Ecology for overwhelming the municipal waste plant in Morton with polluted wastewater from its nearby medical waste processing plant. Welcome to new HIStalk Platinum Sponsor Bluetree Network. The Madison, WI-based company was founded by former Epic leaders to offer quality Epic expertise for solving the biggest health system challenges — staffing and support, training and mentoring, optimization, revenue cycle, analytics, managed services, and solving strategic problems. Health systems benefit from engaging patients and reducing provider burnout, making data a competitive advantage, and making more money. The company offers case studies from UCHealth, Cottage Health, WVU Medicine, Cambridge Health Alliance, and other health systems. 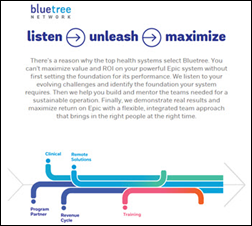 Thanks to Bluetree Network for supporting HIStalk. May 9 (Wednesday) 2:00 ET. “How to Make VBC Work for You: The Business Case to Transform Into the Health System of the Future.” Sponsor: Philips Wellcentive. Presenters: Mason Beard, co-founder and chief product officer, Philips Wellcentive; Scott Cullen, MD, principal, ECG Management Consulting; Seema Mathur, director of strategy, Sage Growth Partners. How well is your organization funding its transformation to VBC? This free webinar explains how to achieve ROI as your organization transforms to meet the future. You’ll learn how VBC is impacting healthcare system management, three strategies for funding your transformation, and what the healthcare system of the future will look like. May 29 (Tuesday) 1:00 ET. “Increase Referrals and Patient Satisfaction with a Smarter ‘Find a Doctor’ Web Search.” Sponsors: Phynd Technologies, Healthwise. Presenters: Joseph H. Schneider, MD, MBA, FAAP, retired SVP/CHIO, Indiana University Health; Keith Belton, VP of marketing, Phynd. A recent survey found that 84 percent of patients check a hospital’s website before booking an appointment. However, ‘Find a Doctor’ search functions often frustrate them because their matching functionality is primitive and the provider’s information is incomplete or outdated. Referring physicians need similarly robust tools to find the right specialist and to send the patient to the right location. Attendees of this webinar will learn how taxonomy-driven Provider Information Management improves patient and referrer satisfaction by intelligently incorporating the provider’s location, insurance coverage, specialty and subspecialty, and services offered that can be searched via patient-friendly terms. Doctor on Demand raises $74 million in a Series C funding round. Athenahealth announces Q1 results: revenue up 12 percent; adjusted EPS $0.76 vs. $0.03, beating earnings estimates. Quantros names Trey Cook (Hill-Rom) president and CEO. AdvancedMD hires John Marron (InMediata Health Group) as VP and GM of its RCM division. Shawn Morris (Cigna-HealthSpring) joins Privia Health as CEO. Jellico Community Hospital (TN) selects Artifact Health’s mobile app for physician queries. CMS Administrator Seema Verma announces at Health Datapalooza that the agency will release Medicare Advantage data to researchers, a plan it shelved last summer over questions about the data’s accuracy. Verma added that Medicaid and CHIP data will also be forthcoming. Also at Health Datapalooza, FDA Commissioner Scott Gottlieb, MD announces the launch of the Information Exchange and Data Transformation incubator, which will initially focus on the development of digital tools for cancer treatment and drug development. The FDA will also tweak its pre-certification software program to better accommodate AI-powered technology. Central Georgia Health Network deploys Arcadia analytics as part of its population health management efforts. Redox develops single sign on capabilities to help improve connectivity between digital health vendors and their end users. 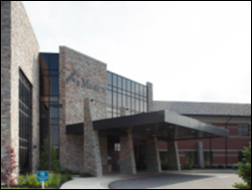 Mercy Health wraps up implementation of PerfectServe’s clinical communications technology across 23 facilities in Kentucky and Ohio. STAT looks beyond the investment rounds and hip office furnishings of telemedicine startup Lemonaid Health to highlight its trials and tribulations, including antiquated state regulations that have kept it from scaling beyond 18 states, drug-seeking patients who lie about their symptoms, those who call in to video consults from behind the wheel, and a burgeoning reputation for annoying competitors with complaints about them to state medical boards. Mobile Heartbeat will exhibit at the American Telemedicine Association conference April 29-May 1 in Chicago. Clinical Computer Systems, developer of the Obix Perinatal Data System, completes SOC 2+ HITRUST CSF Certification. Qventus will exhibit at the IHI Patient Care Summit 2018 April 26 in San Diego. Ellkay will present at the Executive War College Conference on Laboratory & Pathology Management May 2 in New Orleans. Re: Stericycle … Stericycle killed InQuicker. Most of their key leadership (who were very sharp) are now gone and Stericycle has dedicated zero development resources to a solution that is now far behind its’ competition.